The Northern District of California Blog congratulates Judge Yvonne Gonzales Rodgers on her recent confirmation to the U.S. District Court for the Northern District of California. Nearly all of the judges on the Northern District of California were either partners in large law firms or prosecutors. Until now, none spent any noticeable time as a homemaker, and that makes Judge Rodgers a little different. According to her submission to the Senate Judiciary Committee, Judge Rodgers was born Maria Yvonne Gonzales in Houston, Texas in 1965. She graduated from Princeton University in 1987 and started to attend the University of Texas School of Law that year. She then met and married Matt Carlson Rodgers, changed her name to Yvonne Gonzales Rodgers and left law school for a year. She returned in 1989 for her 2L year and then spent her 3L year at Boalt Hall School of Law (U.C. Berkeley). She graduated from Texas in 1991. After graduation she joined (what is now) Cooley LLP and eventually became a partner in that firm. In 1997, her son Christopher was born which led to her involvement in the Wildwood Elementary School Parent Board, she became president from 2002-2003 and was on the board until 2008. In 2003 she took time away from the practice of law to devote time to her children, who I believe are here today. Judge Gonzalez Rogers, and her husband Matt, have three young children – Christopher is sixteen, Maria is 12, and Joshua is 10. And they very excited not only to support their mother’s nomination, but also to tour the Capitol tomorrow. In 2004, she worked on a voter initiative for a proposed parcel tax renewal and increase which passed the following year. Judge Rodgers then volunteered to be on the Alameda Grand Jury in 2005, where she was selected and served for one year and was then renominated for a second year. During this time she was compensated at $15 per day. In 2007, she decided $15 a day was too much and volunteered to be a Judge Pro Tem on the Alameda County Superior Court. At that time the Piedmont Unified School District asked her to oversee it's Proposition 37 bond drive to repair schools damaged by earthquakes. She did so, and the initiative passed with over 80% support. Governor Arnold Schwarzenegger appointed her to the Superior Court for Alameda County on July 25, 2008 and she was reelected without opposition. In the fall of 2010 Judge Rodgers decided she wanted to be a federal judge so she wrote Diane Feinstein's advisory committee a letter stating as much. 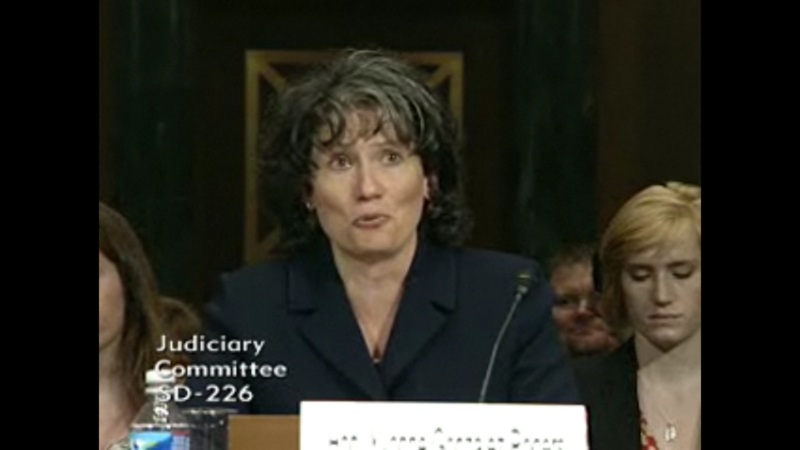 The committee interviewed Judge Rodgers in November 2010 and the Senator interviewed her in January 2011. She was then put in contact with the Department of Justice in February and the White House in March. President Obama submitted her nomination on May 4, 2011. Here confirmation hearing was on July 13, 2011 (you can watch it here, she was asked one question). Edit: A previous version of this article referred to Judge Rodgers as a "homemaker." I have changed this to "stay at home mom."